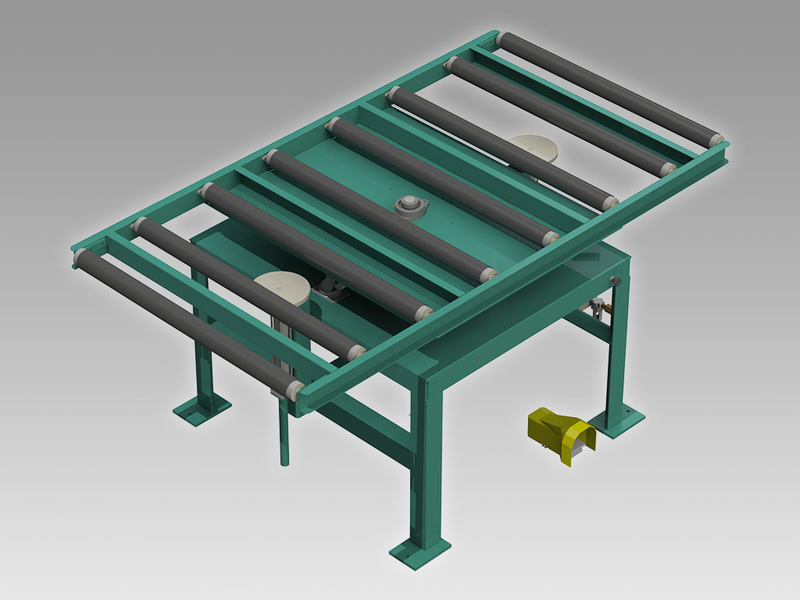 The RT-R Rotary Lift Table is equipped with six steel conveyor rolls on 12” centers. The table rotates 360 degrees without restriction, with rotation stops at 90-degree intervals. The RT-R is equipped with two air operated, 8” diameter lifting pads located on the centerline of the table. The pads lift the door above the rolls to allow packaging to be installed around the side jambs. The lift cylinders, which are used only when the table is aligned with the pre-hanging line, are set 49” apart to provide stable support when lifting the door.